If you are going to grow houseplants, why not choose plants that are both beautiful and useful? Ginger is one of these plants. It has amazing healing properties, looks like bamboo, and with striking flowers. It is rewarding to grow Ginger in Containers. You can always have fresh ginger root on hand. How nice is that! How to grow ginger in containers? Now would you like to grow your own ginger at home? It is very easy. You need to buy an organic piece of ginger root with some eye buds forming for local grocery stores or Asian stores. Once planted, the ginger needs nothing but water and patience to mature into a delicious, spicy ingredient. Although it is easy to grow in a container or in the garden, Ginger has a few requirements for growing well. It likes moist, rich soil. 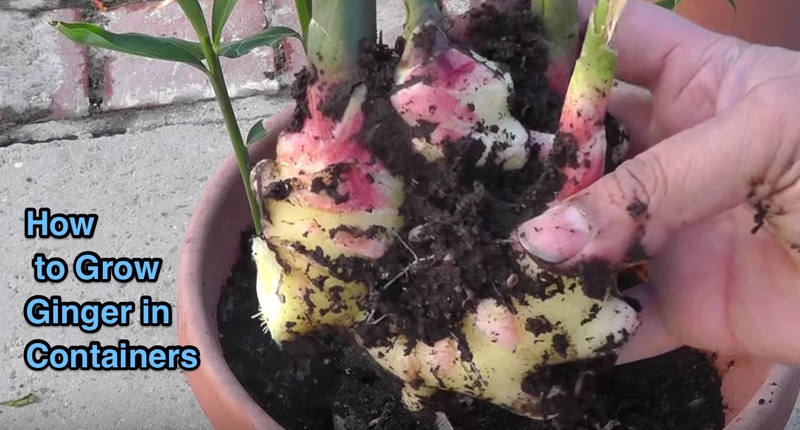 Below video will show you How to Grow Ginger in Containers.